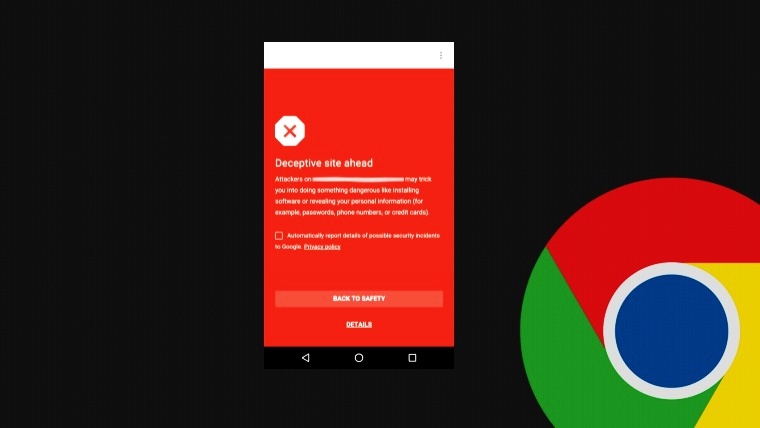 With an aim to secure the browsing, users surfing the Internet via chrome browser on mobile devices will receive a warning in case if the browser finds any web page dangerous for the user similar to the desktop version of Chrome. This is something Google has introduced in relation to the recent rise in malware and adware on mobile devices. This feature known as Safe browsing is enabled for the users having at least 8.1 version of the Android OS. Google has integrated the feature directly into Google play services so all the apps can use it and Chrome is one such app and the most significant one. Safe browsing has been one of the best features in the desktop version of the chrome browser as it has allowed many users from visiting malicious pages. For Android users in past, there was no option while browsing and visiting one malicious site opened the gateway for hackers to enter into the user’s device. 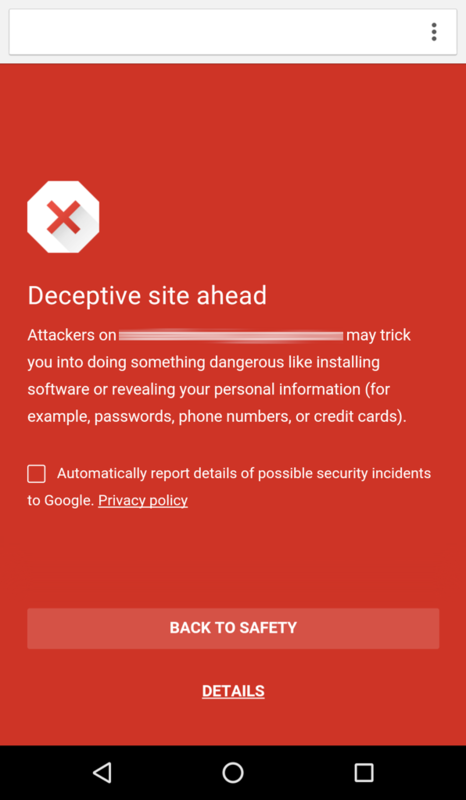 Most threatening for an android user is a malicious ad which once tapped could install dangerous malware onto the device and with no proper support of ad blocking services in the Chrome for Android there is no way a user could stay away from such ads. But, this feature was not easy to implement for Google, according to the company’s officials due to limited bandwidth available in some parts of the world they have to keep the blocked websites data up to date and as small as possible because if the users keep on switching website they might lose their data very quickly. “Together with the Android Security team, we made the software on the device extra stingy with memory and processor use, and careful about minimizing network traffic. All of these details matter to us; we must not waste our users’ data plans, or a single moment of their battery life, according to “Google Online Security Blog”. Earlier this year, Google introduced Password Alert extension for Chrome on the desktop in order to protect users from visiting phishing sites. The plugin issues an early warning alert for users. If you want to check out whether the safe browsing feature is enabled in your device please head over to setting and then Privacy menu.